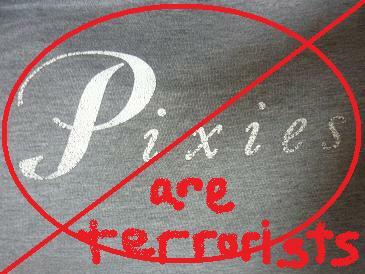 In the earlier pos t that I wrote on the Pixies’ career as terrorists, I ended by pointing out a couple questions raised by the satirical article that had been written by Larry Haiven, and people’s reaction to its claim that the Pixies were now terrorists in the eyes of the Canadian government. Way back on 11 June 2010, the headline “BREAKING NEWS: Canadian Government to put Pixies on list of ‘terrorist’ organisations” appeared on the website Australians for Palestine. Obviously satirical (at least hopefully lest I have to renounce my Canadian citizenship), the big question that arises from such a piece is WHY? Now then, here’s part deux. So I promised I’d show how there were links between Direct Action and the underground punk scene in Vancouver. Well actually, the links even extended through the overall punk network in North America, but before we go into that wider story I have to tell you this: Gerald Hannah, member of Direct Action and was also known as Gerry Useless, and he was a founding member of the Vancouver band the Subhumans. Not to be, of course, confused with the Subhumans.